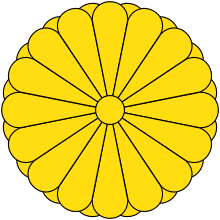 Seinei's contemporary title would not have been tennō, as most historians believe this title was not introduced until the reigns of Emperor Tenmu and Empress Jitō. Rather, it was presumably Sumeramikoto or Amenoshita Shiroshimesu Ōkimi (治天下大王), meaning "the great king who rules all under heaven." Alternatively, Seinei might have been referred to as (ヤマト大王/大君) or the "Great King of Yamato." Seinei fathered no children; however, two grandsons of the 17th emperor, Emperor Richū, were found—later to ascend as Prince Oke and Prince Woke. Seinei adopted them as his heirs. The actual site of Seinei's grave is not known. This emperor is traditionally venerated at a memorial Shinto shrine (misasagi) at Osaka. The Imperial Household Agency designates this location as Seinei's mausoleum. It is formally named Kawachi no Sakado no hara no misasagi . 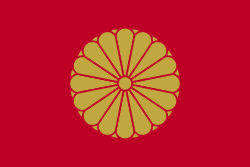 1 2 Imperial Household Agency (Kunaichō): 清寧天皇 (22); retrieved 2013-8-28. ↑ Titsingh, Isaac. (1834). Annales des empereurs du japon, pp. 28–29; Brown, Delmer M. (1979). Gukanshō, pp. 258–259; Varley, H. Paul. (1980). Jinnō Shōtōki, pp. 115–116.